After setting up Server 2012 to test with, I had a major issue with the network location. I was not able to change from the network location from “Public network” to “Private network”. I could get around this issue by join the server to a domain, and doing so would set the network location to “Domain network”. Although this solution might not be ideal or even possible for some people. If you can not join the system to a domain or do not wish to join the system to a domain you will have issues accessing the system through the network connection. 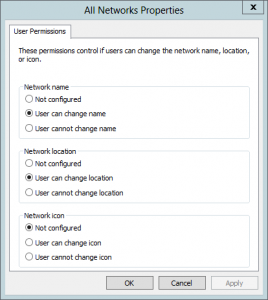 Now if you were to set the network location to “Private network” you would be able to access the system like a domain joined system. 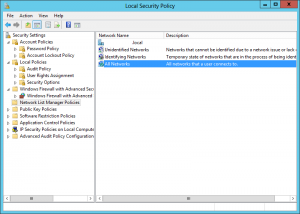 Select “Network List manager policies” in the console tree. Now reboot to apply the changes. 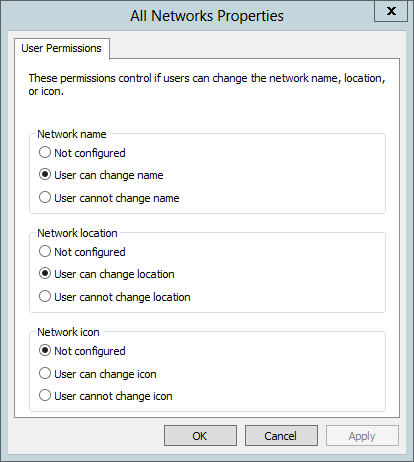 In the “Local Security Policy” editor you can also change the network type of your network if it listed by editing the properties of the listed network instead of the “All Networks” option. 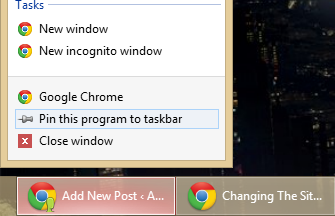 Several people have pointed out that this option can be done with the following Powershell commands. Get the list of network profiles on the system. This entry was posted in Server 2012 and tagged Fix, Network Location, Server 2012, Windows, Workaround on September 26, 2012 by nightred.